The artist plans to explain a bunch of stuff using only the simplest English. If you’re a fan of the webcomic xkcd, you’ve probably seen the Up Goer Five. A blueprint of NASA’s Saturn V rocket explained using only the 1,000 most common English words. 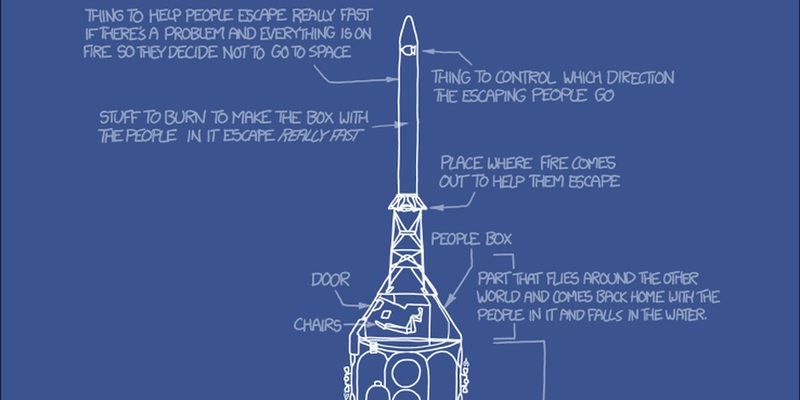 The comic’s artist and author Randall Munroe just announced that he’s going to write an entire book titled Thing Explainer describing more blueprints of things with the same challenge of only using the most common English words. “The diagrams in Thing Explainer cover all kinds of neat stuff—including computer buildings (datacenters), the flat rocks we live on (tectonic plates), the stuff you use to steer a plane (airliner cockpit controls), and the little bags of water you’re made of (cells),” Munroe wrote in a blog post announcing the book. The book will be available on Nov. 24.